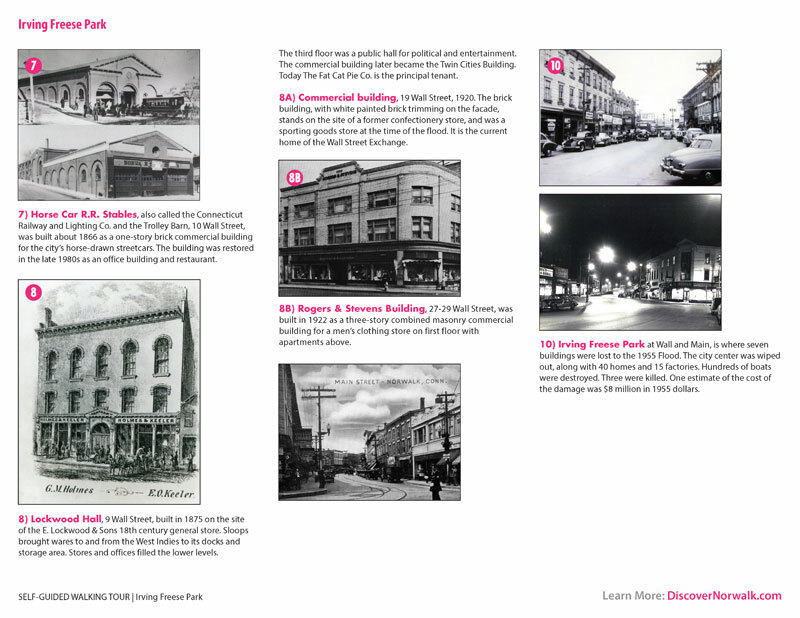 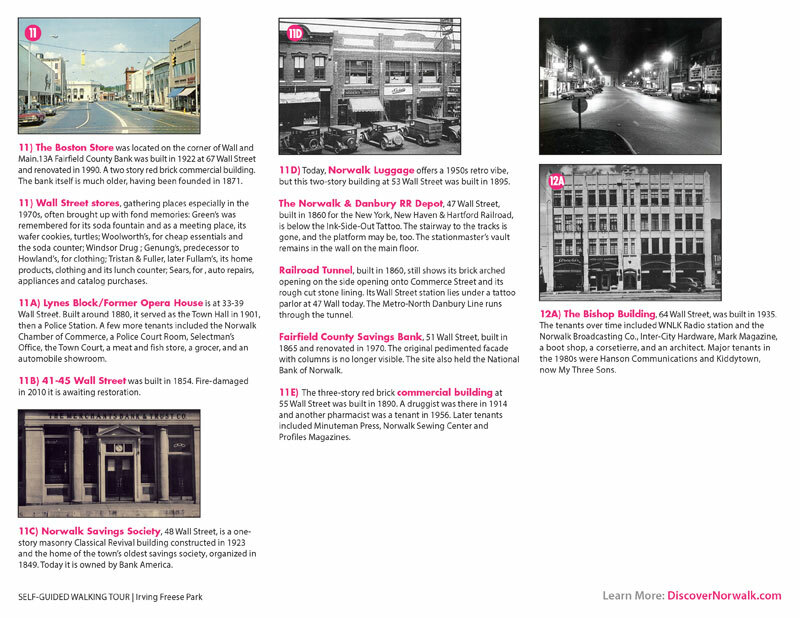 Take a stroll through three centuries of history and discover the people, places and events that created Norwalk’s central downtown. 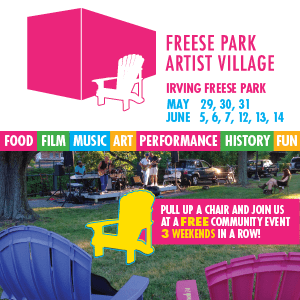 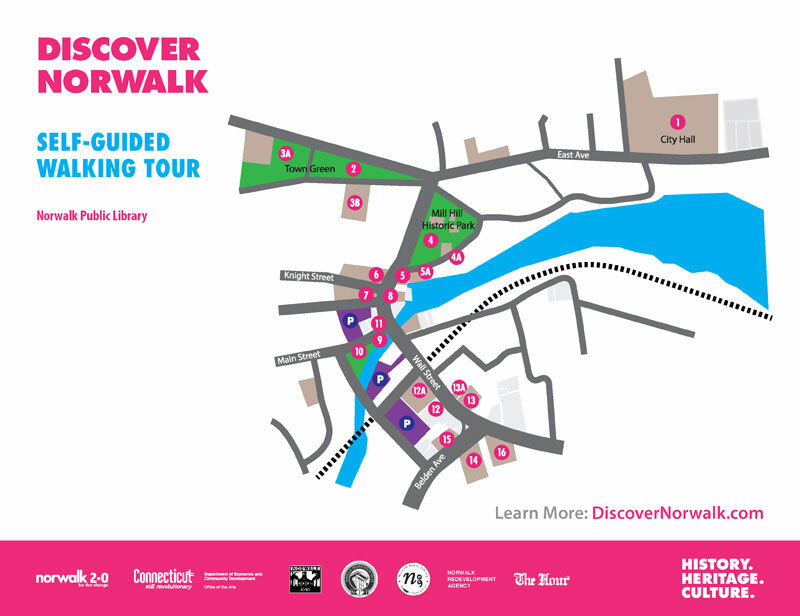 Use our Walking Tour Maps to visit our Fence Art Project exhibits and learn more about Norwalk’s legacy of history, art, heritage and culture. 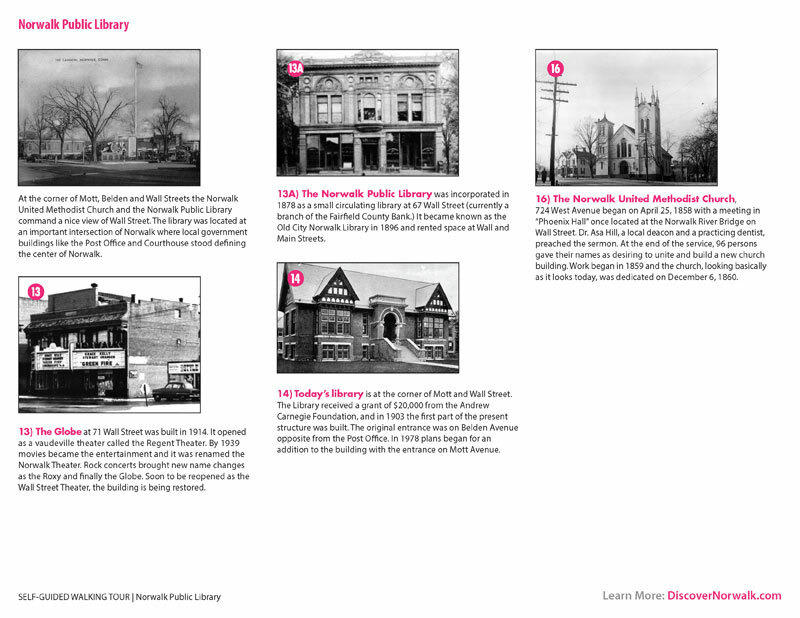 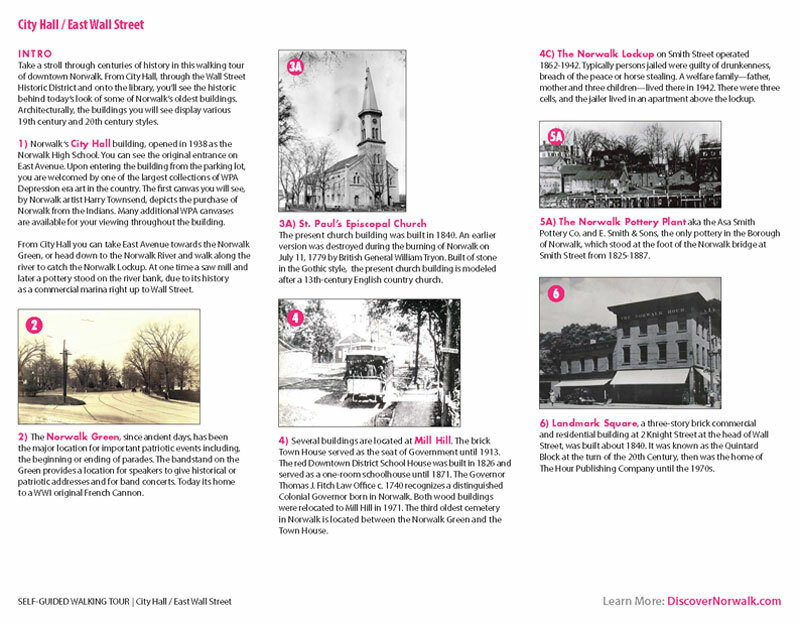 Our walking tour maps guide you through the areas of City Hall, Mill Hill, Freese Park and the Norwalk Public Library.